In 2014 and 2015 I had the privilege of sitting on the judging panel for the UK’s largest search awards ceremony, the UK Search Awards, managed by Don’t Panic Projects. Since 2014 I have been a judge at the European Search Awards. The Search Awards celebrate the talent of both agencies and in-house teams who have engaged in search marketing campaigns throughout the year for the UK & Europe’s largest brands. 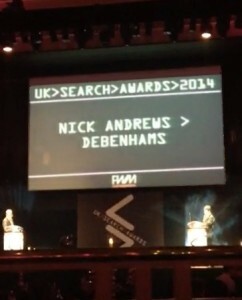 In 2016 I made the decision to remove myself from the UK Search Awards judging panel so that my in house SEO team at Debenhams could enter some awards categories (not allowed for judges). I did this so that my in house team had a shared goal to work towards that could be used to motivate and inspire them. 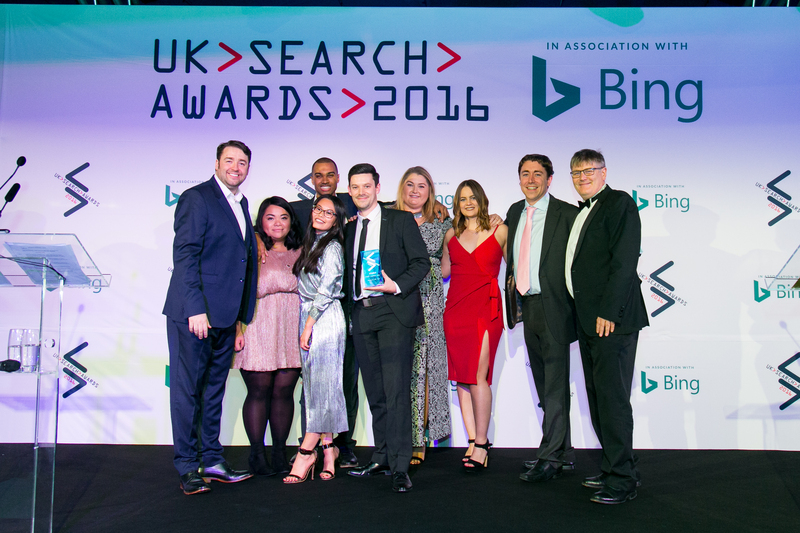 Attending the UK Search Awards in November, I was delighted that my SEO team were recognised by winning the award for Best in House Team. Entering the Search Awards has a small cost associated with it. Visit the relevant websites above to find out more information about submission deadlines and the latest entry requirements.